Dr Kathryn Barnsley is an adjunct researcher, School of Medicine, University of Tasmania , and an advocate and writer on tobacco control and public health policy making. 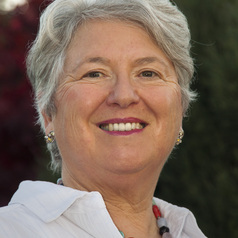 She was formerly a member of the National Expert Advisory Committee on Tobacco, is a policy advisor to SmokeFree Tasmania, a member of the Tasmanian Tobacco Coalition and was responsible for the development of the Public Health Act 1997, the Food Act 1998 and other tobacco and health legislation. She is assisting Hon Ivan Dean MLC in the passage of the Public Health Amendment (Tobaccofree Generation) Bill 2014. Published in Tobacco Control, Tasmanian Historical Research Journal, Tobacco in Australia. Dr. Barnsley has presented papers &/or posters on tobacco control at conferences in Australia, NZ, Philippines, Singapore . Dr. Barnsley's doctoral dissertation was titled "Barriers to Evidence Based Tobacco Control in Tasmania: A case study".